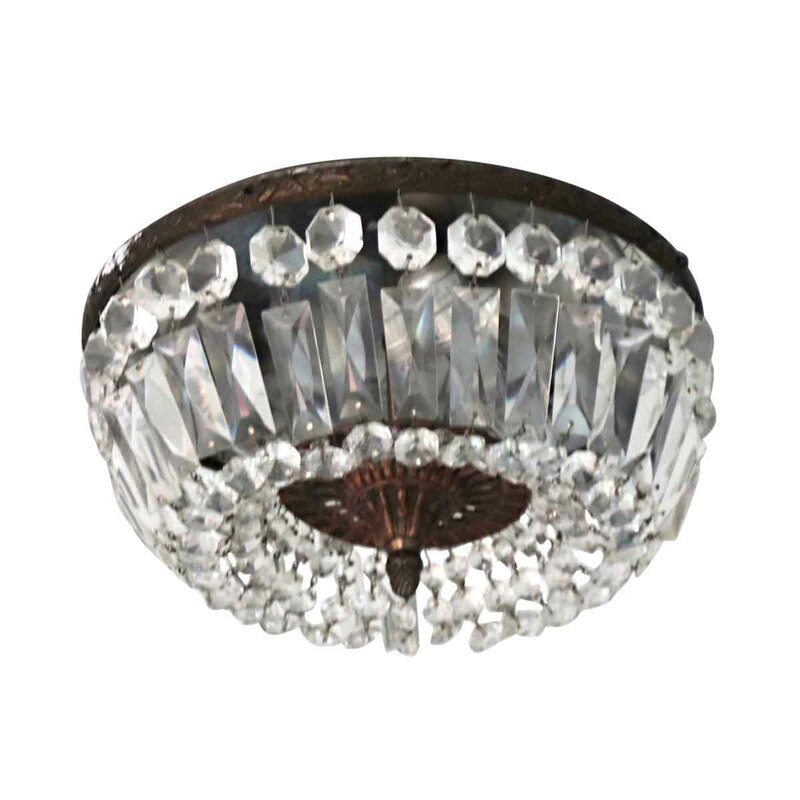 Crystal basket flush mount fixture with a cast brass rim and feather motif. The crystals are of exceptional quality. It is finished with a cast brass ornate finial. 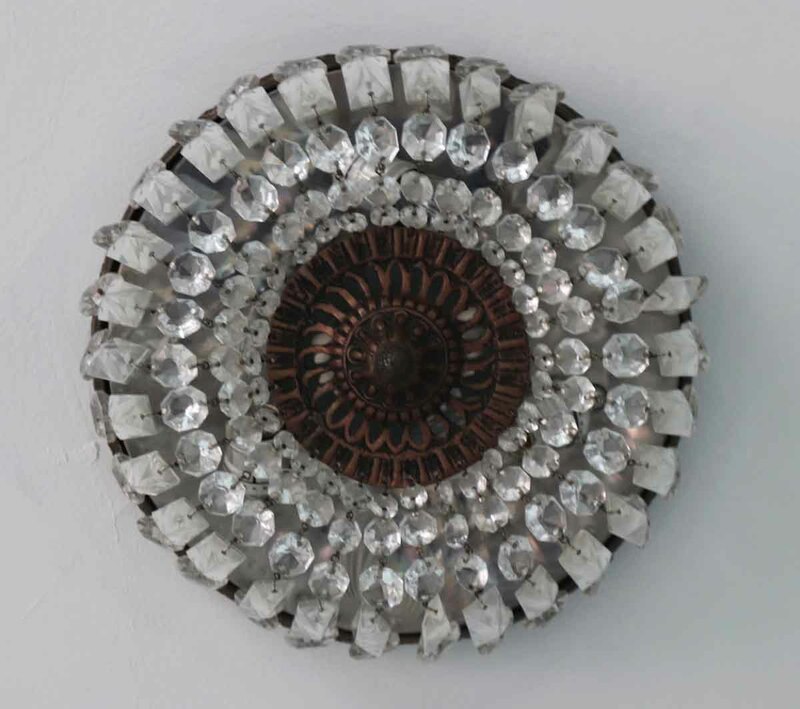 This flush mount is original to the 38th floor of the Waldorf Towers. Price includes restoration. Please allow two weeks for cleaning and rewiring before shipping.